Draft: 2014, Boston Red Sox, 1st rd. Twitter: @MichaelKopech5 … Instagram: @Mikop34 ... Graduated in 2014 from Mount Pleasant (Texas) High School … went 3-0 with a 0.44 ERA and 129 strikeouts over 11 appearances as a senior (64.0 IP, 129 SO) … was a two-time Perfect Game All-American … committed to play baseball at the University of Arizona before signing with the Red Sox. Spent most of the season with Class AAA Charlotte before making his first four major-league starts with the White Sox … two of his three home starts were shortened by rain ... His contract was purchased from Charlotte on 8/21 … made his major-league debut that night vs. Minnesota, allowing three hits with no walks and four strikeouts over 2.0 scoreless IP of a no decision … fanned Miguel Sanó in the first inning for his first career strikeout … was removed before the top of the third following a 56-minute rain delay ... Earned his first win on 8/26 at Detroit after giving up one run on seven hits with no walks and four strikeouts over 6.0 IP … became the first pitcher since at least 1908 to allow one run or less with no walks in each of his first two major-league starts ... Worked 3.0 scoreless IP on 9/1 vs. Boston (his former club), allowing one hit … was removed from the game following a 2:09 rain delay … became just the third pitcher since at least 1908 to allow one run or less and one walk or less in each of his first three MLB starts, joining St. Louis' Donovan Osborne (1992) and Cleveland's Cody Anderson (2015) ... Suffered his first loss on 9/5 vs. the Tigers after allowing seven runs on nine hits (four home runs) ... Was diagnosed on 9/6 with a torn right ulnar collateral ligament … underwent successful Tommy John surgery on 9/18 ... Went 7-7 with a 3.70 ERA (52 ER/126.1 IP), 170 strikeouts and a .219 (101-461) opponents average in 24 starts with Charlotte … at the time of his promotion, led all MiLB pitchers in strikeouts and led the International League in SO/9.0 IP (12.11) ... Struck out 10-plus batters on 4/20 at Indianapolis (10), 6/8 vs. Lehigh Valley (10) and 7/14 at Durham (11) … fanned nine batters six times and eight batters on five occasions ... Was named the White Sox Minor League Pitcher of the Month for April after posting a 2.14 ERA (5 ER/21.0 IP) with 29 strikeouts and a .189 (14-74) opponents average over four starts ... Went 4-0 with a 1.84 ERA (9 ER/44.0 IP), four walks and 59 strikeouts over his last seven starts from 7/14-8/16 … did not issue a walk over his final 24.0 IP ... Entered the season ranked by Baseball America as the No. 2 prospect and possessing the Best Fastball in the White Sox system (No. 11 overall prospect in baseball) … was ranked by MLB.com as the No. 2 prospect in the Sox system, No. 10 overall and No. 3 RHP prospect in baseball. Went 9-8 with a 2.88 ERA (43 ER/134.1 IP) and 172 strikeouts over 25 starts between Class AA Birmingham (22 starts) and Class AAA Charlotte (three starts) in his first season in the White Sox organization ... His 172 strikeouts tied for the fifth-highest total in the minor leagues and were second-most among Sox farmhands behind Alec Hansen (191) ... Averaged 11.5 strikeouts per 9.0 IP and limited opponents to a .193 (92-476) average ... Was named the Most Outstanding Pitcher in the Southern League after ranking among the league leaders in strikeouts (2nd, 155), ERA (4th, 2.87) and WHIP (6th, 1.15) ... Became the first Barons pitcher to win the award since Mark Buehrle in 2000 … was a SL midseason and postseason All-Star ... Was a two-time White Sox Minor League Pitcher of the Month honoree, earning the distinction in May and August/September. l Struck out 10-plus batters five times ... Made his season debut on 4/8 at Jackson, receiving a no decision after allowing two runs on three hits with 10 strikeouts over 4.1 IP … earned his first win on 4/25 vs. Jacksonville, allowing one hit with eight strikeouts over 6.0 scoreless IP ... Went 3-1 with a 2.31 ERA (9 ER/35.0 IP), 47 strikeouts and a .167 opponents average (20-120) over six starts in May … struck out 10 for the second time on 5/31 vs. Chattanooga ... Worked 8.0 scoreless IP on 7/20 vs. Jackson, allowing four hits with no walks and eight strikeouts ... Recorded double-digit strikeouts in three of his final four outings with Barons: 7/26 at Chattanooga (1 ER/6.0 IP; 12 SO), 8/5 at Jacksonville (0 ER/7.0 IP; 11 SO) and 8/12 vs. the Lookouts (0 ER/7.0 IP; 10 SO) ... Was promoted to the Knights on 8/18 for the remainder of the season … made his Charlotte debut on 8/21 at Norfolk, earning the win after allowing two runs on six hits over 5.0 IP ... Surrendered two runs with seven strikeouts in his final start of the season on 9/1 vs. the Tides. l Following the season, was rated by MLB.com as the No. 9 overall prospect in baseball and No. 2 in the White Sox system ... Entered the season ranked by MLB.com as the No. 3 Prospect in the Sox organization and No. 30 in baseball … was rated by Baseball America as the No. 32 Prospect in baseball and No. 5 Prospect and possessing the Best Fastball in the Sox system. Spent most of the the season at Class A Salem, where he went 4-1 with a 2.25 ERA (13 ER/52.0 IP), 82 strikeouts and a .147 (25-171) opponents average...Averaged 14.2 strikeouts per 9.0 IP with Salem and limited left-handers to a .120 (12-100) average... Began the season on the disabled list with a broken right hand suffered in spring training … made one rehab start for Advanced Rookie Lowell on 6/17 vs. Vermont, throwing 4.1 scoreless IP...Was reinstated from the disabled list on 7/7 and made his Salem debut that night at Carolina, allowing one hit with six strikeouts over 4.0 IP in a no decision...Did not allow a run over his first 13.1 IP of the season, including his only start for Lowell and his first two with Salem...Struck out 10-plus batters four times over a five-start stretch in August, including three in a row from 8/13-24 … gave up one hit and struck out 10 over 6.0 scoreless IP on 8/2 at Wilmington...threw 7.0 scoreless IP on 8/24 at Potomac, allowing just one hit with 10 strikeouts...Owned a 1.23 ERA entering his final start with Salem before giving up six runs over 0.1 IP on 8/31 vs. Winston-Salem...Went 3-0 with 2.01 ERA (5 ER/22.1 IP) and 26 strikeouts over six starts with Surprise in the Arizona Fall League … led the AFL in ERA and ranked second among starting pitchers in strikeouts per 9.0 IP (11.25)...Worked 2.0 perfect IP with three strikeouts in the Fall Stars Game … was named one of two starting pitchers on the AFL Top Prospects team...White Sox acquisition was recommended by Joe Butler, John Tumminia and Keith Staab. Spent entire season with Greenville, where he was named to the South Atlantic League mid-season All-Star Team … averaged 9.7 strikeouts per 9.0 IP (70 ER/65.0 IP) ... Allowed three runs or less in all 15 of his starts, including one run or no runs eight times … Was named SAL Pitcher of the Week for 4/20-26 after going 1-0 with a 0.00 ERA (10.0 IP) and four hits allowed in two starts … Following the season, was ranked by Baseball America as the No. 5 Prospect in the Red Sox organization … also was rated by Baseball America as posessing the best fastball in the SAL, as well as the best fastball and slider in the Red organization. Made eight starts with the GCL Red Sox in his pro debut … limited opponents to a .216 (11-51) opponents average and averaged 10.5 strikeouts per 9.0 IP (16 ER/13.2 IP) ... Was signed by Tim Collinsworth. 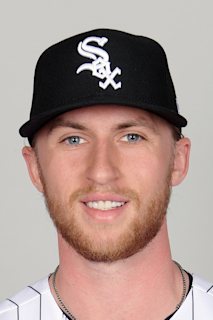 March 11, 2019 Chicago White Sox placed RHP Michael Kopech on the 60-day injured list. Tommy John surgery. October 29, 2018 Chicago White Sox activated RHP Michael Kopech from the 60-day injured list. September 8, 2018 Chicago White Sox placed RHP Michael Kopech on the 60-day disabled list. Ulnar collateral ligament sprain in right elbow. August 21, 2018 Chicago White Sox selected the contract of RHP Michael Kopech from Charlotte Knights. January 22, 2018 Chicago White Sox invited non-roster RHP Michael Kopech to spring training. August 18, 2017 RHP Michael Kopech assigned to Charlotte Knights from Birmingham Barons. July 10, 2017 Birmingham Barons activated RHP Michael Kopech from the temporarily inactive list. July 7, 2017 Birmingham Barons placed RHP Michael Kopech on the temporarily inactive list. April 5, 2017 RHP Michael Kopech assigned to Birmingham Barons from Winston-Salem Dash. January 23, 2017 Chicago White Sox invited non-roster RHP Michael Kopech to spring training. December 6, 2016 RHP Michael Kopech assigned to Winston-Salem Dash. July 7, 2016 Salem Red Sox activated RHP Michael Kopech from the 7-day disabled list. July 1, 2016 Salem Red Sox placed RHP Michael Kopech on the 7-day disabled list. June 23, 2016 RHP Michael Kopech assigned to Salem Red Sox from Greenville Drive. June 16, 2016 Greenville Drive sent RHP Michael Kopech on a rehab assignment to Lowell Spinners. April 7, 2016 Greenville Drive placed RHP Michael Kopech on the 7-day disabled list. September 23, 2015 Greenville Drive activated RHP Michael Kopech from the restricted list. July 16, 2015 Greenville Drive placed RHP Michael Kopech on the restricted list. April 7, 2015 RHP Michael Kopech assigned to Greenville Drive from GCL Red Sox. June 20, 2014 RHP Michael Kopech assigned to GCL Red Sox. June 17, 2014 Boston Red Sox signed RHP Michael Kopech.